Erasmus, acclaimed as a great writer, was also a great collector of books. “Your library,” he rhapsodized, “is your paradise.” In fact, he said, “When I get a little money I buy books, and if any is left I buy food and clothes.” Folly or wisdom? Among the books in Erasmus’s collection was a first edition of his own brilliant In Praise of Folly. This indispensable volume is on the bookshelf of every curator here at the Museum of Folly. All great deeds, Erasmus maintains in this book, are founded on foolishness. We have taken this advice to heart. 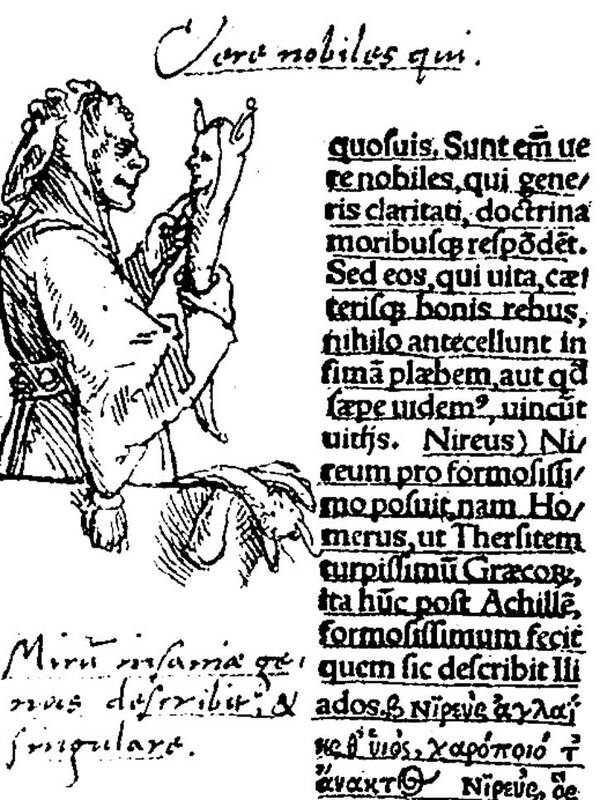 Erasmus’s copy of his first edition is noted for marginal illustrations by Hans Holbein. Holbein painted for the English royal family on Erasmus’s recommendation. For The Praise of Folly he drew this image of a fool with a sceptre in his own image. It suggests that the person who studies the fool is himself a fool. Like Erasmus, we here at MOFO embrace that label. William Willeford, a twentieth-century psychoanalyst, wrote a book called The Fool and His Sceptre. As those in his profession are wont to do, he perceived the fool’s sceptre as a phallus. Erasmus probably wouldn’t have minded. All humans are born from folly, he said. 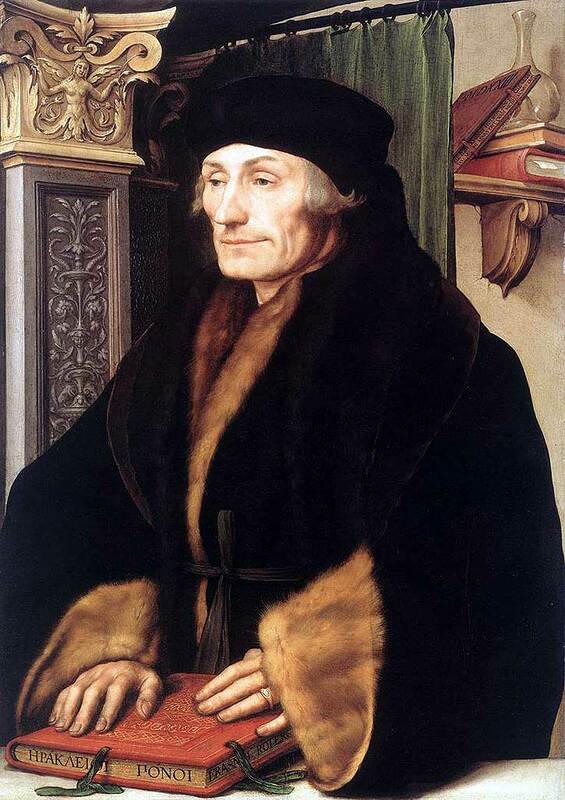 Portrait of Erasmus of Rotterdam, prob. 1523, by Hans Holbein the Younger. Oil and tempera on panel. National Gallery, London.